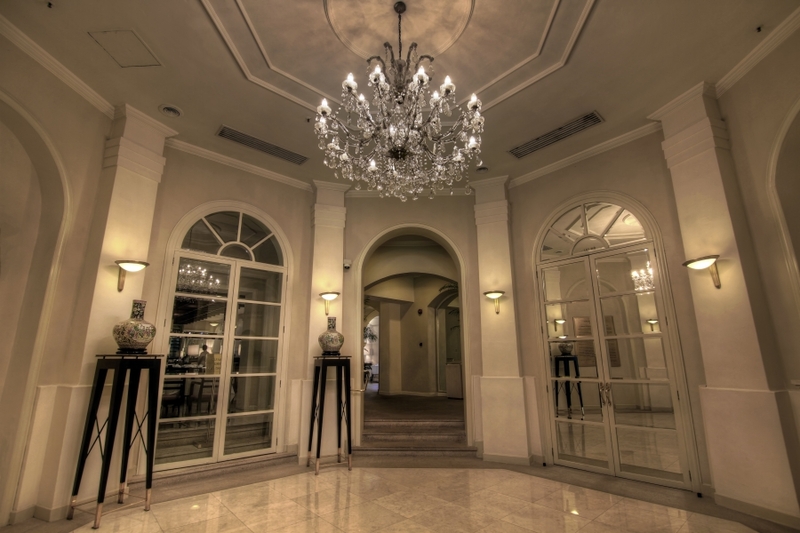 If you’re looking to add elegance and class to your entryway or foyer, it may be wise to invest in a chandelier. When most people think of chandeliers, they envision extravagant and expensive hanging lights, however these unique lighting pieces have become very affordable over the past several years. Chandeliers can add style to various room’s throughout your home, and they come in a wide selection of colors and varieties. 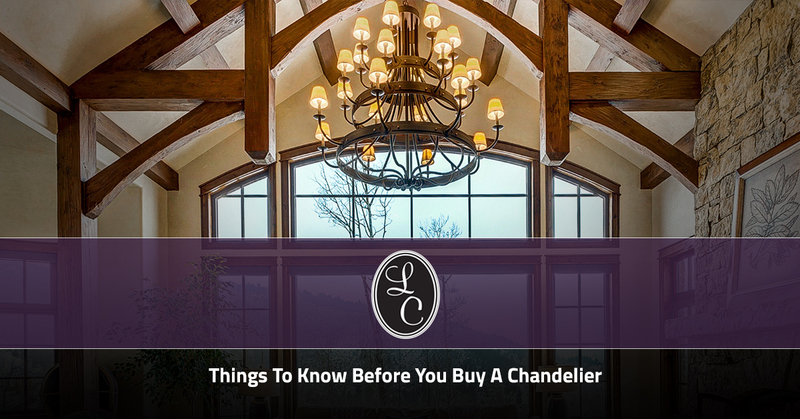 In this blog, we’ll look at some important things you should know before you start shopping for a chandelier. At Lighting Concepts Showroom in Trussville, we’re proud to offer a unique assortment of chandeliers for residents throughout Alabama. Whether you’re looking for the perfect light fixture to hang in your master bathroom, or you’d like to add more task lighting to the master bedroom, you’re sure to find the perfect lighting solution in our showroom. Shop for your chandeliers and ceiling lights online today! When you know which room you’d like to install a chandelier in, it’s important to take the time to measure the space. One easy way to do this is to measure the length and width of the room in feet, and add those two numbers together. For example, if your master bedroom is eight feet wide by 12 feet long, the total sum is 20 feet. When you change that number to inches, you’ll get the number that will be ideal for the diameter of your chandelier. In this case, a chandelier that has a diameter of 20 inches will work best for your bedroom. If your dining room has extremely tall ceilings, your chandelier should hang roughly seven feet from the floor when measuring from the bottom of the fixture. If you plan on suspending your chandelier above the dining room table, there should be about 30 inches from the bottom of your chandelier to the top dining room table. Once you’ve decided where you want to hang a chandelier, it’s time to start shopping! Keep in mind that the chandelier you choose should complement, not detract from, the overall theme of the room. For example, if you’re looking for a sleek and stylish chandelier to put in your daughter’s bedroom, you could look for a fun crystal chandelier. On the other hand, if you need a hanging light fixture for a shabby and chic study, you may want to invested in a distressed black chandelier. Chandeliers come in a variety of styles, shapes, and colors, so you may feel intimidated when it comes time to start shopping. Luckily, the lighting professionals at Lighting Concepts Showroom are here to help you decipher between the different types. Historically, crystal chandeliers are one of the most common and popular styles. When most people picture these chandeliers, they envision them in the homes of the rich and wealthy. These light fixtures can be made from a variety of crystal types, and they can range in grade from hand-cut, hand-polished, and machine-cut. If you have high ceilings throughout your home, installing a tiered chandelier can add a majestic look to your space. As you may have guessed, tiered chandeliers offer multiple levels of lights. The most common tiered chandeliers are two-tiered, but you can find fixtures that come with three, four, and even five tiers of lights. Did you know that the first chandeliers held candles instead of light bulbs? Today’s candelabra chandeliers borrow this same idea for a classic, old-fashioned appeal while updating the technology to add safety and convenience. You can get the historical look of a candle-filled chandelier by simple flipping a switch! As you can see, there are many things to keep in mind before you start shopping for a new chandelier. If you live in Alabama, be sure to stop by Lighting Concepts Showroom in Trussville today. We offer a wide selection of decorative chandeliers, lamps, sconces, pendants, and landscape lights, and we would love to help you find the perfect lighting solutions for your home. With more than 29 years of experience in the lighting industry, you’re sure to find everything you need in our 8,500 square-foot lighting showroom. If you can’t visit our lighting showroom, be sure to check our our Lighting Catalog online.